Where do I start? What do I need? How can I possibly teach students with limited vocabulary to read? How do I teach the vocabulary in a meaningful way? How do I teach students to read that have had limited exposure to language, books, vocabulary… the list of questions goes on and on…..sigh. I hear these questions ALL THE TIME. I have asked these questions. 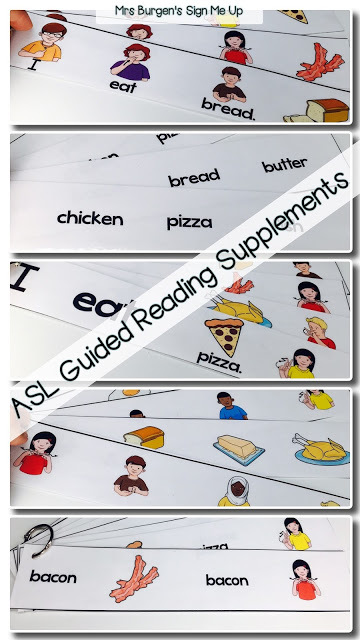 There are many resources out there that support guided reading, but none, that I have found, specifically address the needs of deaf and hard of hearing students. So….. based on my experiences in teaching D/HH students and the extreme amount of studying I have done on the topic of reading, I created my own beginning series. 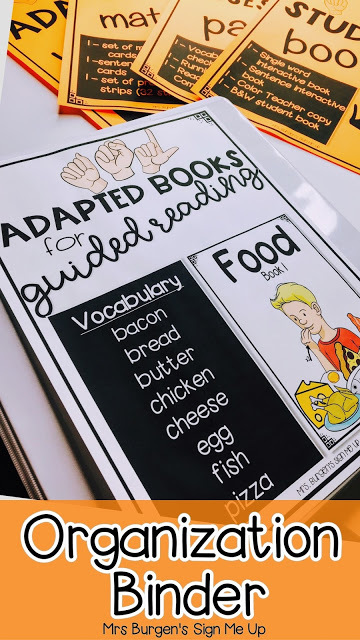 I included the components that I feel are ESSENTIAL in using Guided Reading to teach deaf and hard of hearing students. 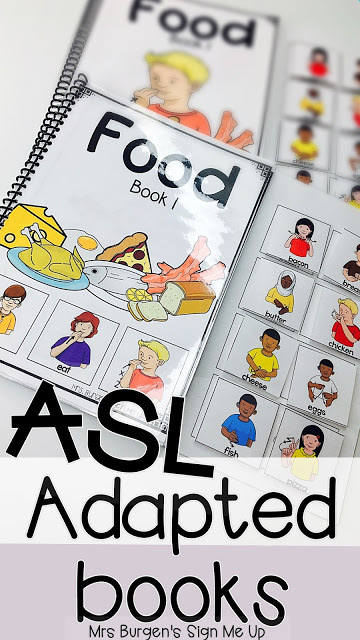 These adapted books are HIGHLY engaging for students who are just beginning to interact with books and beginning reading. 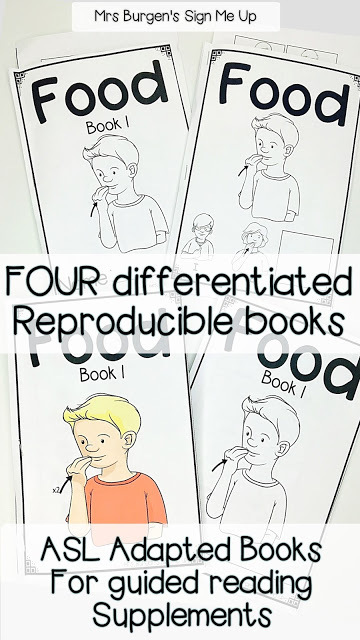 In this set you get two adapted books, one with single word target vocabulary, and one with a repeated target sentence. We know that students need multiple exposures to words before they are able to transfer them to long term memory. I created a variety of practice cards for students to work on in multiple situations to extend their practice with the target vocabulary. You may use ALL of these resources with some students or just one or two with others, depending on their learning needs. Following exposure to the Adaptive Books and the target vocabulary, student are ready to do some independent practice. These two books would be great to use at independent center time or to send home for out of class practice. 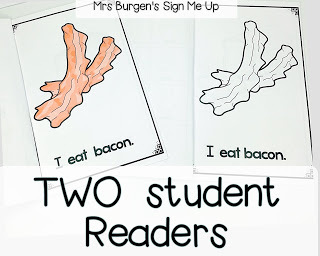 Parents or caregivers can easily help student (and learn the signs at the same time) Students love cutting a pasting into their own books and while this may take some supervision with students initially, it is a worthy investment. Adaptive Books, they are ready to “graduate” to THE REAL DEAL book. That’s right, no picture/sign support just straight up reading the words. I can tell you, as excited as my students are to read and interact with the adaptive books, they beam with pride when I bring out the student readers. I choose to keep the color copy as my teacher copy that multiple students will read with me. 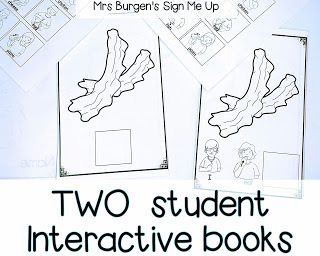 I make student copies of the black and white book, that students are able to keep in their reading boxes or take home. 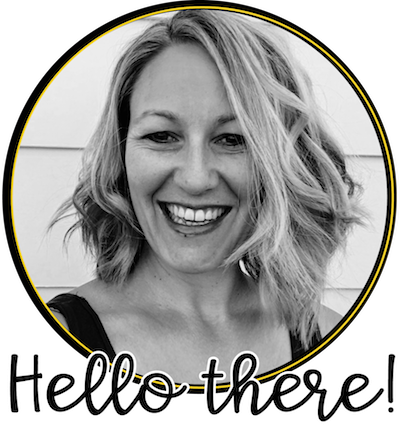 I will admit I am NOT very organized and I constantly have random pieces of a variety of resources hiding in all kinds of places, and NOT at the table with me when I am working with a student…#typeBteacher. So I need to include a piece that would keep me organized. I made sure to write down exactly what goes in each section, so if I have a paraprofessional working with the materials (or finding them somewhere in the room) it would be easy to see where they belonged. 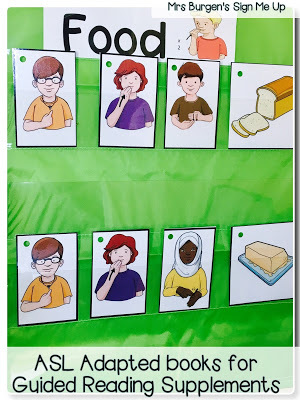 This post is the first in a series of blog posts about guided reading and emerging deaf readers. 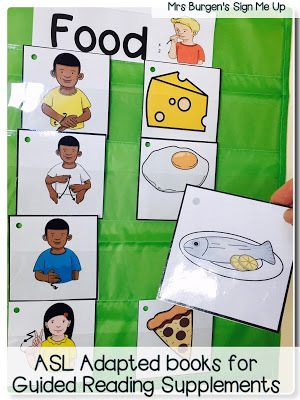 Click THIS RESOURCE to see the product on TPT. I would love to hear from you! What are your questions about guided reading? 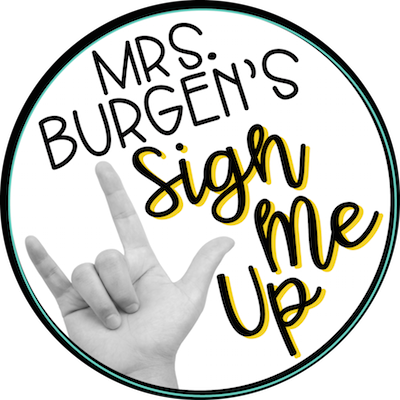 What are you doing right now that is helping your students learn vocabulary and become fluent signers and readers? « Why I started Creating Resources for Deaf and Hard of hearing students.